Rematch! 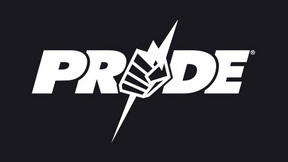 Marking the Japanese MMA promotion’s 1 year anniversary, PRIDE 4 returned to the Tokyo Dome with the much-anticipated second bout between Nobuhiko Takada and Rickson Gracie. 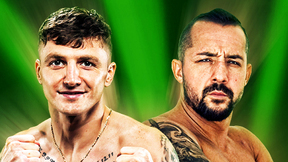 Also making his PRIDE debut, knockout artist Igor Vovchanchyn. 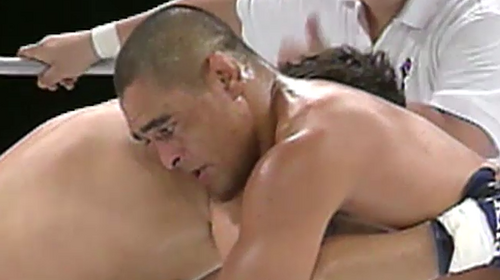 Rickson Gracie vs. Nobuhiko Takada PRIDE 4 Sun, Oct 11, 1998 (18:37) On the one year anniversary of the first event and their first fight, shoot-style pro wrestler Nobuhiko Takada would enter the PRIDE ring looking for redemption against the most dangerous Gracie jiu-jitsu blackbelt in the world Rickson Gracie. Mark Kerr vs. Hugo Duarte PRIDE 4 Sun, Oct 11, 1998 (32:50) Chalking up his 6th win by finish, 2x UFC tournament winner Mark “The Smashing Machine” Kerr was undefeated, living up to his monicker, and was set to scrap with Brazilian luta livre fighter Hugo Duarte and his 6-1 pro record with all wins by submission. Alexander Otsuka vs. Marco Ruas PRIDE 4 Sun, Oct 11, 1998 (24:56) After scoring a heel hook win in his PRIDE entrance, UFC 7 tournament winner Marco “The King of the Streets” Ruas was ready to put his luta-livre skills to the test against debuting Japanese professional wrestler Alexander Otsuka. 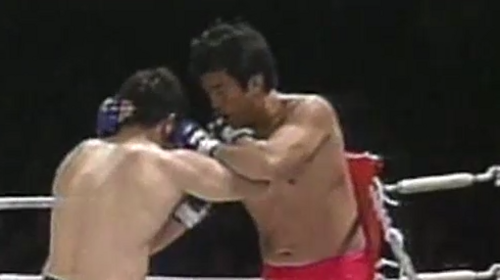 Satoshi Honma vs. Naoki Sano PRIDE 4 Sun, Oct 11, 1998 (13:02) Making his PRIDE debut, Satoshi Honma owned a 3-4-2 pro record with all wins by armbar and was scheduled to scrap with Japanese professional wrestler Naoki Sano whose first pro MMA bout was in a 33 minute long tangle with Royler Gracie at PRIDE 2. Kazushi Sakuraba vs. Allan Goes PRIDE 4 Sun, Oct 11, 1998 (35:07) Riding back-to-back submission wins in PRIDE, professional wrestler Kazushi Sakuraba was proving to be as dangerous as he was entertaining and headed into a grappling-heavy bout with high-ranking BJJ blackbelt Allan Goes, who had a 3-1-1 pro record. Daijiro Matsui vs. Sanae Kikuta PRIDE 4 Sun, Oct 11, 1998 (35:54) With a 7-2 MMA record, judo ace and shoot boxer Sanae Kikuta had earned 6 of his career wins by submission and was headed into the PRIDE for the second time against catch-wrestler Daijiro Matsui whose pro MMA debut was a time limit draw at PRIDE 3. 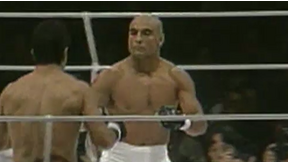 Akira Shoji vs. Wallid Ismail PRIDE 4 Sun, Oct 11, 1998 (15:00) At 1-0-2 in the PRIDE ring, the always-entertaining fan-favorite Akira Shoji was set to scrap with Carlson Gracie BJJ blackbelt Wallid “Paraiba” Ismail with his 6-1 pro record including back-to-back wins in his native Brazil. 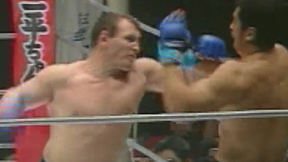 Igor Vovchanchyn vs. Gary Goodridge PRIDE 4 Sun, Oct 11, 1998 (8:31) Dominant kickboxer turned dominant MMA knockout artist making his PRIDE debut, Ukraine’s Igor “Ice Cold” Vovchanchyn and his insane 25 fight win streak with almost all finishes faced UFC vet “Big Daddy” Gary Goodridge who was 2-1 in PRIDE with two KO/TKOs.